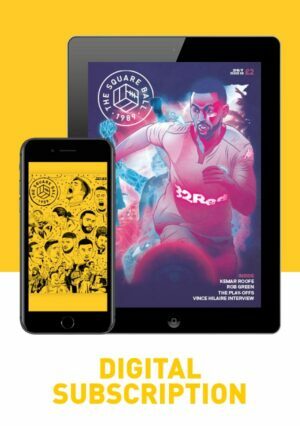 New for 2017-18: read the current issue on your phone at the game. Starting this season, all articles in the magazine will be available in a phone-friendly format on the website for subscribers. So, if you prefer digital to paper, you can still have the mag in your pocket. A digital subscription includes unlimited access to all PDF editions of TSB from 2009 right up to the current issue! Simply log in to the website, head to the shop and all the digital magazines will be free – for as long as you have an active subscription. Please note: This is a recurring subscription product that runs for six months from the date of purchase. Upon expiry, it will attempt to collect a recurring payment of £9 from the card you used to pay, unless cancelled. You can manage your subscription, your payment method and renewal options in the My Account part of the website. Did you know? The 12 month digital subscription is better value at the equivalent of just £1 a month. Click to get that instead!